Does ownership structure and board composition play a role in the performance of a company? What significance does audit and regulation have for investment incentives? These types of questions are studied within the multidisciplinary field of corporate governance. By studying the 1-year master programme Corporate Governance – Accounting and Finance, you will become both a generalist and a specialist. For one, you will acquire a broad knowledge on how different institutions and processes like, for instance, accounting/audit, capital markets and regulation, create the overall framework for how businesses are managed. During your studies, you will gain insight into financial economy and law as well as strategy, corporate governance and accounting. You will also get the opportunity to acquire more in-depth knowledge on one aspect of the corporate governance system. In addition to subject skills, the programme puts a lot of focus on the practice of generic skills, such as individual writing of reports, oral presentation, applied research methods, and reasoning technique. The first semester starts with an overview of what corporate governance is and the variation found internationally in the system for corporate governance. After that, you will get more in-depth knowledge concerning how the different parts of the corporate governance system – owners/capital market, board, analysts, media, audit, regulation/standardisation, risk management – affect companies. The semester is concluded with subject integration. During the second semester of the programme, you will start with eligible in-depth courses with focus on topics like the role of the company in society, CSR, financial institutions and markets, and the history of ideas in accounting. In the final stage of the programme, you will write a master thesis where you will be given the opportunity to carry out a research project of your choice within the field of subject. The programme is primarily aimed at those with an educational background within financial accounting and/or financial economy. It can also suit those with a background within business administration or economics with other specialisation, but the basic principles of accounting and financial economy will not be taught on the programme. Students with a background in accounting often start working in the accounting profession, while others start working at finance departments. Students with background in financial economy more often end up working in the finance industry as, for instance, adviser at a bank, consultant within corporate finance, or company analyst. Several students have become specialists on corporate governance and work as advisers to investors at institutions and within the field of compliance, which is a growing field at larger listed companies. The programme also prepares you for third-cycle studies within the field. 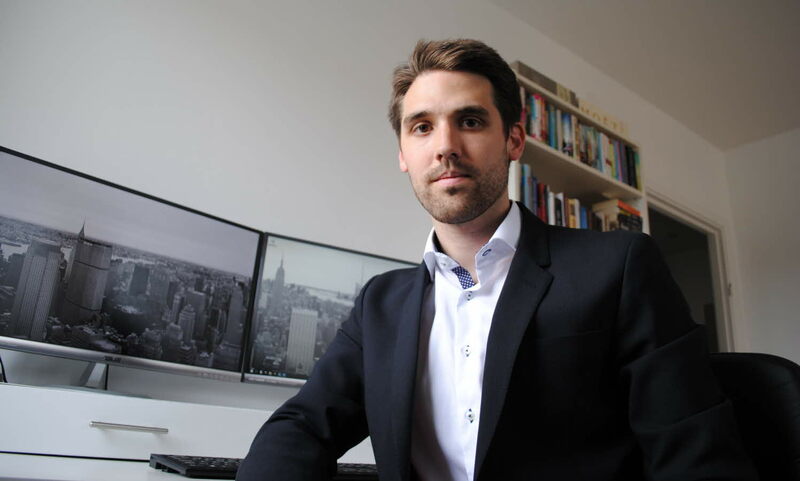 During his studies, Johan Björkholm had a trainee position at a fund company where he worked both with asset management and back office. Today, he has progressed in his career and works as a partner at AIF Management. He mainly works with issues concerning alternative investment funds. For Johan, every day is unique. 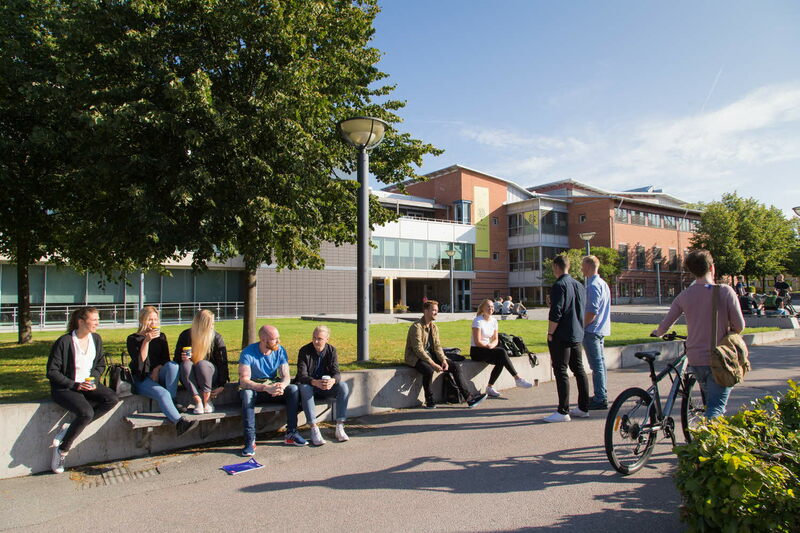 Why did you choose this programme at Linnaeus University? “I knew that I wanted to study business and since it’s available at most universities, I chose to accompany my girlfriend to Kalmar. First I chose the Business Administration and Economics programme with a specialisation in Marketing, but it didn’t feel quite right for me so I switched to the Controller specialisation. But after the third year in that programme, I realised that the courses of the fourth year weren’t attractive to me so I switched again. What have you had the most use of from your education? Is there anything you have been able to make possible thanks to your education? What do you think you will do in the future? Do you have a dream job?